Super Starfish can automatically store your progress in the cloud, allowing you to restore it on another device. 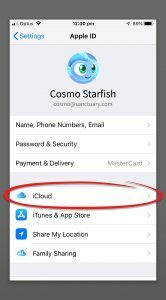 To do this, first make sure your original device with your progress is connected to Apple’s iCloud and you have iCloud Drive enabled. 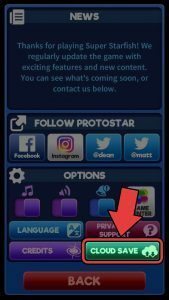 You can check that you’re signed in by clicking on your device’s settings button and then on your Apple ID at the top. You should see an “iCloud” tab where you can sign in if needed. Under your Apple ID menu, click on the “iCloud” tab and then scroll down the list until you see “iCloud Drive”. Ensure this setting has been toggled to the ON position. 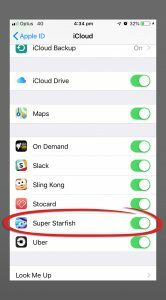 In the same area as the iCloud Drive Toggle, scroll down and also ensure that Super Starfish has also been toggled to the ON position. 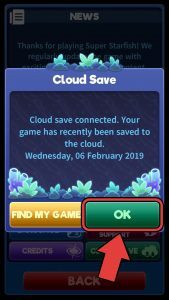 Super Starfish will automatically save to the cloud as you play it, but if you want to make sure it is saved immediately, you can tap “Options”, then “Cloud Save”. 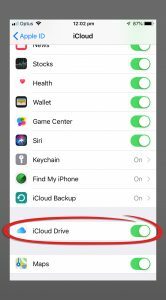 On your new device, make sure you’re logged into iCloud and iDrive (as above) using the same ID as on your original device. 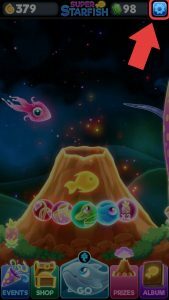 Super Starfish will attempt to automatically restore your progress when you play the game. However, if this doesn’t happen, you can restore your progress manually. 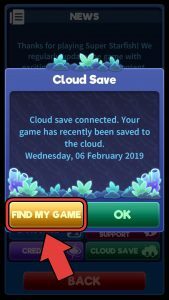 To manually restore your progress on a new device, tap “Options”, then “Cloud Save” then “Find My Game”.